It was a game fitting a final game of any tournament. A team that was at the bottom of the table and almost no one – except they themselves – believed could make it past the league stage played the final! It was an incredible story of the unbelievable stuff. 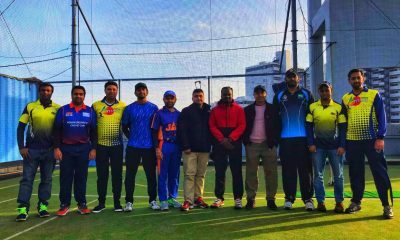 India Blues were a team that struggled to find six players to make a team before the Japan National Indoor Cricket League tournament started and had almost dropped out of the winter league but they what a tournament they had. 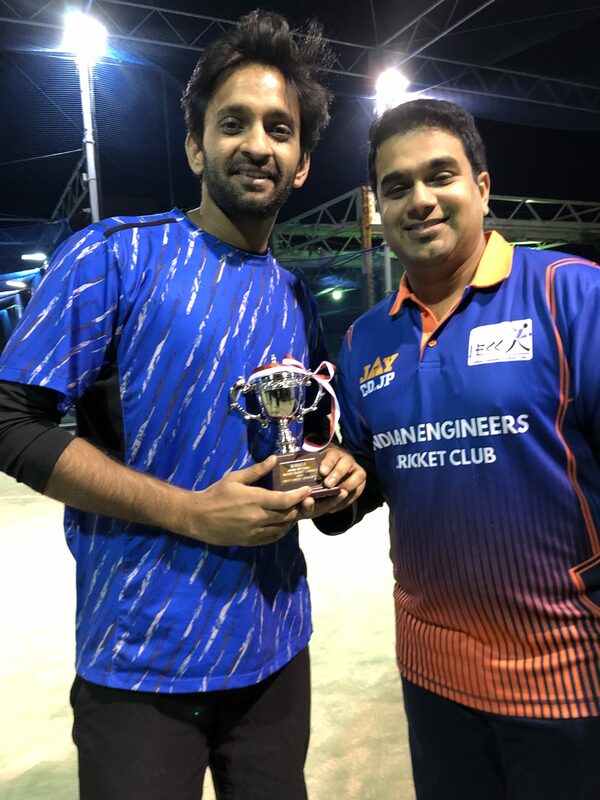 The knock-out games started with the table topper and tournament favourites Pakistan Stars who had not lost any games during the league stage facing India Blues. What was expected to be a walk in the park for the Pakistanis after the opening pair scored 31 runs in the first two overs and then 43 for the loss of just one wicket at the end of 4 overs turned out to be a shocker when veteran Ashok Kumar took out three of their batmen in one over reducing the Pakistan Stars score by fifteen valuable runs. The Stars never recovered from the setback. India Blues had a few hiccups but they held their nerve to qualify for the semi-final by overcoming the target of 54 runs. Skipper, Rahul Manoharan called it an “unbelievable game” and said, “I can’t believe it”. Well who would have believed they could beat the formidable Pakistan Stars! Meanwhile, the Indian Engineers also progressed to the semi final beating the Sons of Pitches. Another match that could have swung either way was the one between the defending Champions Tokyo Bulls vs. Nippon Tigers which the latter won rather comfortably. And in the fourth quarter final Alpha Quashers beat Pakistan Stars 2nd team to proceed to the semis. 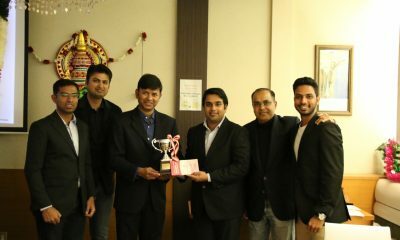 In the first semi final, India Blues caused the second upset by beating a strong Nippon Tigers without losing any wicket. The Tigers scored 47 runs and lost 3 wickets which reduced their effective score to 32. In return the Blues scored 63 runs without losing any wicket and put them on a flight to cloud nine. Then came a tough fight between the Indian Engineers and Alpha Quashers. Engineers scored 61 runs with the loss of four wickets which meant that the set an effective target of 41 runs. Alpha Quashers fought valiantly and scored 57 runs but in that process they lost six wickets which meant thirty runs were to be deducted from their final score to make it 27 runs. That closed the doors on Alpha Quashers hopes of a semi final berth. The stage was now set for a completely unexpected final match. And oh boy, what a match it turned out to be! Winning the toss the Engineers skipper Vinay Iyer chose to bat first under the lights. Brimming with confidence and a good mix of experience and youth on their side, the Blues were a different team on the field. Bowlers bowled tight, fielders saved singles and everyone cheered a good save or a dot ball. That meant that the Engineers opening pair could only make 11 runs with the loss of one wicket. The next two pairs of batsmen accelerated the score card and finally managed a par score of 61 runs but the loss of one wicket meant the effective score was 56. The Blues boys started the chase very well scoring 16 runs by the first pair and they kept up with the run rate. With only 12 required off the last two overs, it could have been anybody’s game. And it was the final over. 5 required off 6 balls. Every run is important for the Blues for a historic win, every dot ball reduces their chance. Vishnu started off with a dot ball, then conceded a two followed by a single. With only 3 required off 3 balls, the Engineers had their heart in the mouth. Vishnu then produced a beauty that deceived the skipper Rahul and was clean bowled. That changed the equation needing 8 runs off the las two balls. Vishnu kept his cool and bowled with control to concede only 3 runs. 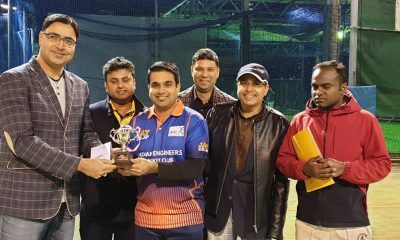 The Blues had scored 62 runs but the loss of two wickets meant that the Engineers were crowned the champions! Well played both teams and congratulations! 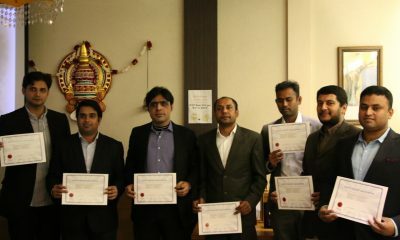 A big Thank you to our sponsors ACS Japan (www.acsjapan.com) and their CEO Mr. Talib Wasan, an avid cricket lover.